A set of sparkling windows is not only a reflection on our valued clients’ business; they are a reflection on ours as well. At Squeaky Klean Services Inc., we are committed to ensuring your satisfaction when it comes to commercial window cleaning services. Our company has been in the business for over two decades and we continually strive to deliver exceptional window cleaning solutions. Window cleaning is the process of cleaning and washing glass windows and its various surfaces to remove dirt, dust, and other substances that may cause your premises to look unwelcoming and drab. 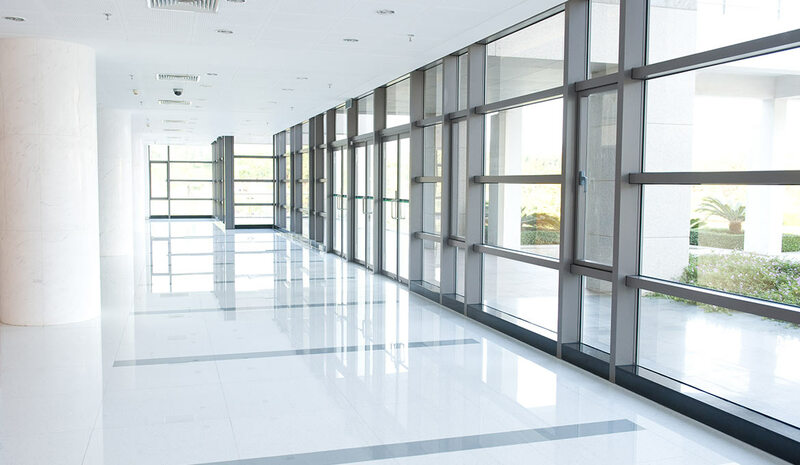 Commercial window cleaning services usually focus on properties that are places of businesses. They include aged care facilities, apartment blocks, schools, offices, hospitals, warehouses, chemical laboratories, and other industrial areas. At Squeaky Klean, there is no window too small or too big for us to clean. Our uniformed window cleaning professionals can brighten up your world at work! What Does Squeaky Klean Services Inc. Offers for Window Cleaning? Exterior Window Cleaning: Our exterior window cleaning expertise will leave all your windows positively shiny every time. Interior Window Cleaning: Squeaky Klean window cleaners can eliminate any stains on the inside of your windows. High Window Dusting: We can access hard to reach areas to remove grime and dirt build up. Experience the Squeaky Klean Difference for Window Cleaning! Do you want to get a free on-site estimate for our commercial window cleaning services? Do not hesitate to give us a call at (845) 615–9015 or email us at mailto:info@squeakykleanservices.com today!